Sources in the state secretariat said that the finance department has also given the nod to the proposal of trifurcation. 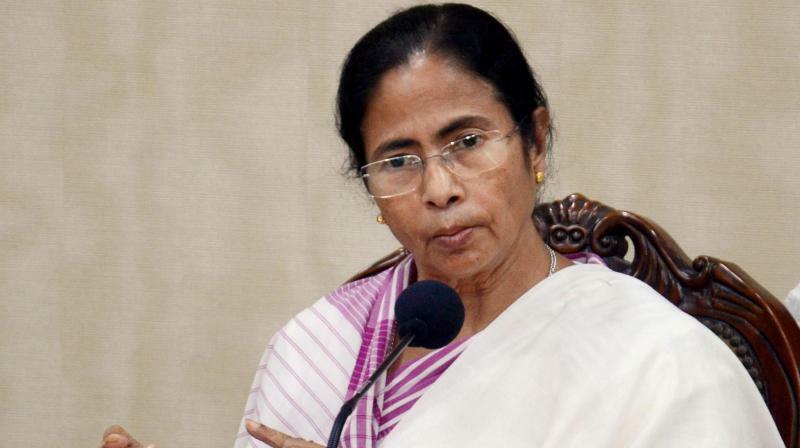 Kolkata: For better law and order, the Mamata Banerjee government has decide to create three new police districts by trifurcating the existing area of South 24 Parganas police. The development is significant as in the past few days; the law and order problem has rocked Bhangar and Bishnupur areas in South 24 Parganas, where public and private properties, including police vehicles have faced vandalism. “The home and hill affairs department, which is headed by chief minister Mamata Banerjee, has proposed the creation of three new police districts. It will be placed in the next Cabinet meeting. The three police districts will be South Industrial Police district, Baruipur police district and Diamond Harbour police district,” a senior official of the home department said. Sources in the state secretariat said that the finance department has also given the nod to the proposal of trifurcation. Two posts of superintendent of police (SP) and one post of deputy inspector general (DIG) will also be created for this purpose. Jhargram in West Midnapore was made a separate police district by Ms Banerjee during her first tenure as chief minister. Now South 24 Parganas will follow suit. The South Industrial Police District will have its headquarters at Alipore and will have as many as nine police stations — Rabindranagar, Maheshtala, Budge Budge, Nodakhali, Bishnupur, Kolkata Leather Complex, Kashipore, Bhangore and Sonarpur police stations. The Baruipur police district with its headquarter in Baruipur will have as many as 10 police stations under its jurisdiction — Baruipur, Joynagar, Kultali, Maipith Coastal, Canning, Jibantala, Basanti, Gosaba, Haldibari Coastal and Jharkhali Coastal. The Diamond Harbour Police District will have its headquarter in Diamond Harbour and will have as many as 19 police stations that include Diamond Harbour, Parulia Coastal, Mandirbazar, Kulpi, Raidighi, Mathurapur, Usthi, Falta, Ramnagar, Magrahat, Kakdwip, Dholahat, Namkhana, Frasergunj Coastal, Pathar Pratima, Gobardhanpur Coastal, Sagar, Gangasagar Coastal and Harwood Point Coastal. An SP-rank officer will oversee the functioning of each of the three police districts. After coming to power for the first time in 2011, chief minister Mamata Banerjee has excluded as many as nine police stations from South 24 Parganas police and brought them under the jurisdiction of the Kolkata Police. The police stations are Behala, Thakurpukur, Kasba, Purba Jadavpur, Jadavpur, Tiljala, Regent Park, Nadial and Metiaburuz.